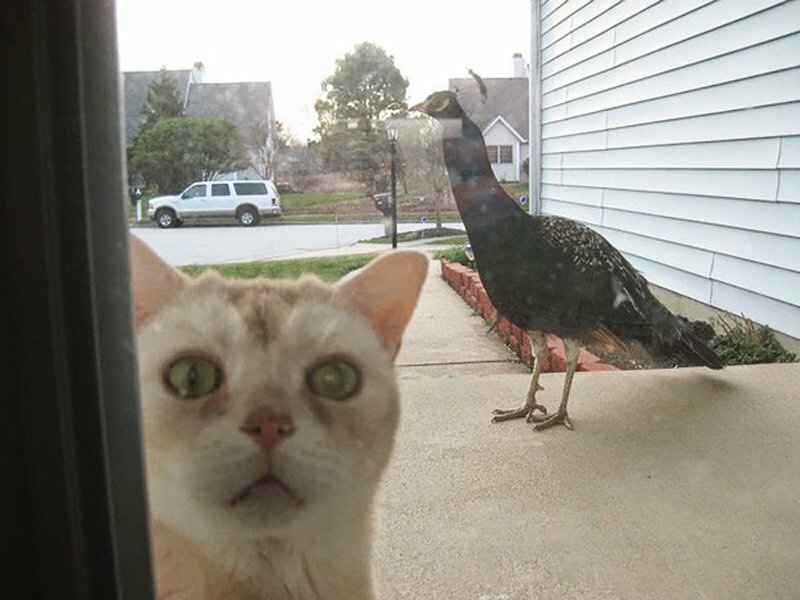 This unfortunate cat found itself in quite a pickle after noticing a majorly large peacock creeping up from behind him. While we feel for the cat who wants to come in we kind of get why the owner was more than reluctant to allow it. After all, no one really wants Big Bird coming into their house. Well, maybe they do if it’s really Big Bird but this is just too much.